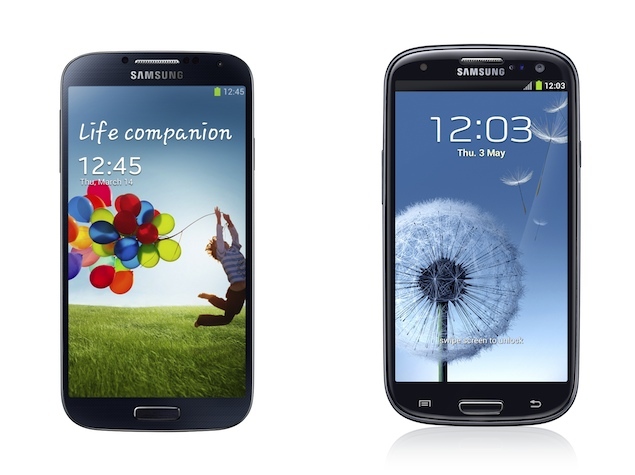 What offers Samsung Galaxy S4 on compared to its predecessor the Galaxy S III. We have set up a duel on the specifications of the two products. Samsung has after the presentation of the Galaxy S4 in the night met criticism that the new top memories too much about its predecessor Galaxy S III. Samsung Galaxy S4 and Galaxy S III reminds a lot about each other – at least on the design. But where the big difference is that at the specifications? There is just a small upgrade or? We have listed the most important details about the two products, which will no doubt be compared much in the future. Wi-Fi Wi-Fi 802.11 a/b/c/g/n dual-band, DLNA, Wi-Fi Direct, Wi-FI hotspot. Wi-Fi 802.11 a/b/g/n, DLNA, Wi-Fi Direct, Wi-FI hotspot. Camera primary 13 megapixels, autofocus, LED Photo light. 8 megapixels, autofocus, LED Photo light. Video 1080 p 30 fps. 1080 p 30 fps.